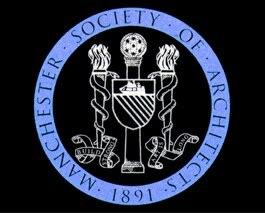 Partner, David Hughes, introduced the student mentoring initiative during his term as President of the Manchester Society of Architects. starting ideally in January 2012. Ideally these placements would be to students starting either the final year of their Part 1 course or the first year of their Part 2 course. future. Of course we cannot guarantee this, as it is subject to our own workload and the economic climate prevailing at the time. Interested applicants should send their CV to Nick Dunn in the first instance who will shortlist with Pozzoni, Please send me your CVs no later than Friday 16th December. 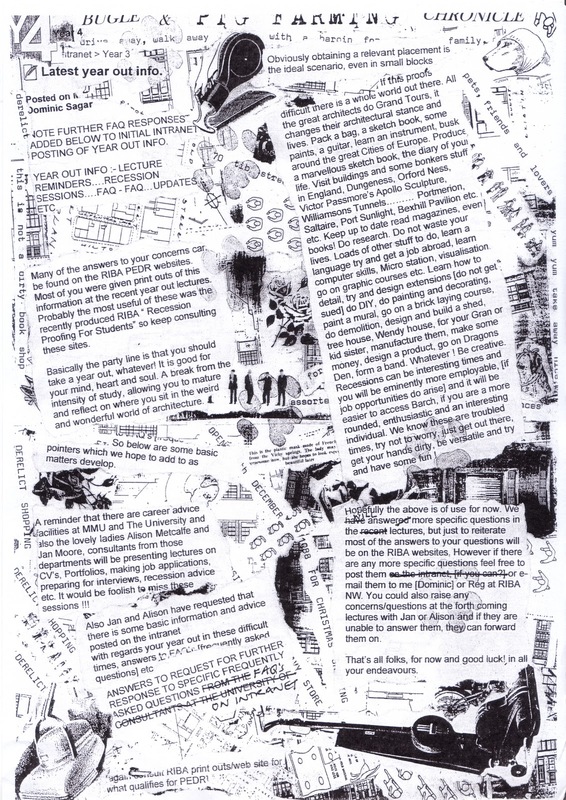 For Architecture students only the deadline to apply for studying abroad through the worldwide exchange scheme in 2012-2013 has been extended to 6 January 2012. Students interested to apply have to contact Jenny Hogg the very latest by Wednesday 14 December 2011 (Jenny.hogg@manchester.ac.uk). 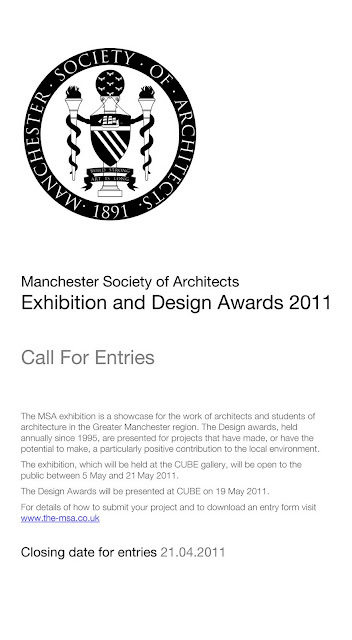 Please also copy isabelle.doucet@manchester.ac.uk in the email. This applies to worldwide exchange, not Erasmus: see below for explanation of the difference. For an academic exchange placement during their BArch, students have two 'paths' that they can follow to study abroad - they can either go to Europe on an 'Erasmus' exchange, or they can go abroad to a non-European country (e.g. USA, Canada, Australia, Singapore etc) through one of our 'Worldwide' exchange agreements. Typically, Architecture students would go to the University of Melbourne or the University of Sydney in Australia, but you could also go to the National University of Singapore, the University of Illinois at Urbana-Champaign or the University of Missouri at Columbia. All of these partners have been chosen by the school in Manchester as having a strong academic department abroad, and they teach in English, so there would be no problem for you to attend classes and take exams at any of these universities. You could possible attend any of our partners that teach suitable courses for you to take abroad that would be a good match for what you would miss here in Manchester. Please note however that some of our partners do have restrictions when enrolling students into their high level Architecture classes and so would not be a suitable option for you (for example the University of Hong Kong; also the University of California only accepts full year exchange students). To be eligible to go abroad you would need an average of at least 55% (60% for Melbourne) as the process is very competitive. Through Erasmus, Architecture have a link in Poland, which teaches all its courses in English. To able to study at Cracow University of Technology you would also need at least 55% average in your academic grades. You can find further details about the exchange in Cracow atwww.erasmus.pk.edu.pl/incoming.php. The deadline for Erasmus applications is usually around Easter time each year. One of the biggest advantages of going abroad through the Erasmus scheme is that you would be entitled to receive an Erasmus grant worth about 200 Euros per month for the time that you were abroad. As long as you successfully completed your placement, you would never need to re-pay this funding. The deadline for a worldwide exchange is this 15 December 2011 !! – so you actually need to apply now for an exchange next year. For Erasmus, there is more time left. Please get in touch with me right away if you’re interested to apply and we can still make it work. HOW WILL STUDYING ABROAD AFFECT YOUR STUDIES AT MSA? Going on exchange is a very positive experience both personally and education-wise. However, you should be aware that, at your return, you would have to catch up on a few courses that are compulsory within our RIBA-accredited education – even if you collected all the necessary credits during your exchange. You will have to collect 40 MSA credits [20 ECTS] during your semester abroad. Usually most of those credits are collected through design studio. **Dissertation: the methodology courses for dissertation are taught in the first semester so you won’t miss out on that. You will also be allocated a supervisor before you leave on exchange so you will need to discuss your process during your absence with him/her. Usually you will get an extended submission deadline – September instead of May, but in any case it means that you should progress with your dissertation while you are on exchange. "Students who will be receiving an automatic offer and are interested in such an exchange may begin the process now, even thought the offer has not yet arrived." You have studied the Architecture BA course at MSA and you are currently in your year out. There are possibilities to go study abroad in the BArch 5, in semester 2 of academic year 2012-13 [Spring]. In order to apply for a worldwide Exchange next academic year, you need to apply this year already. For Erasmus you can still apply later. 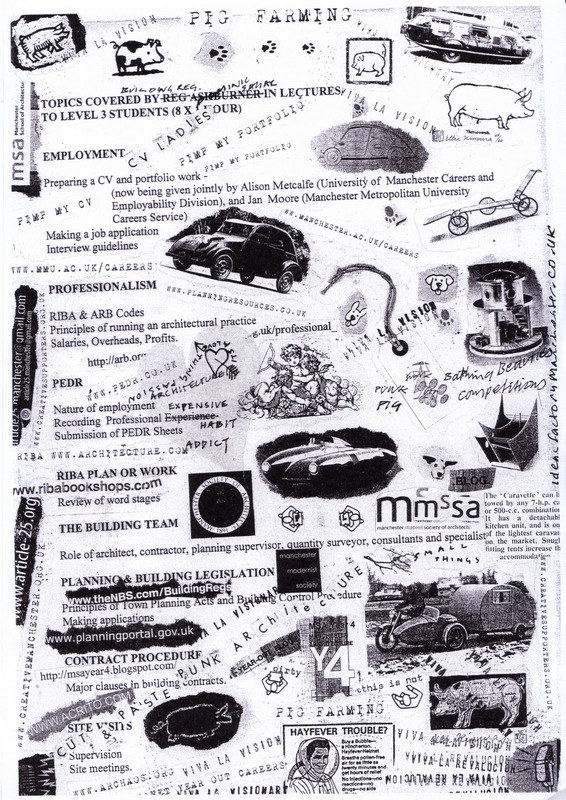 We have not heard from you about an interest in such exchange but we do realize that this structure is quite unique [applying while you’re in your year out]. Therefore I still want to give you this last minute opportunity to apply. The deadline for worldwide exchange is 15 December 2011 – so next week. If you are sure you’ll be returning to MSA in 2012-13 and that you want to go on exchange, please do get in touch with me so we can still process your application. This email provides you already with some basic information [see below]: read this carefully as to what are the requirements and how study abroad will affect your studies at the MSA. Medium sized Private practise based in London seeks Architectural Assistant to provide support to architectural team, consisting of 10 people. You will be assisting them with producing construction drawings and detailing, sections, layouts, elevations and working drawings. The successful applicant will have a good Architect Degree or graphic design qualification and will have a good understanding of UK building regulations. You will also be proficient in AutoCad and be motivated to become involved in all aspects of the architectural process. An excellent opportunity to join a reputable and well established practice. 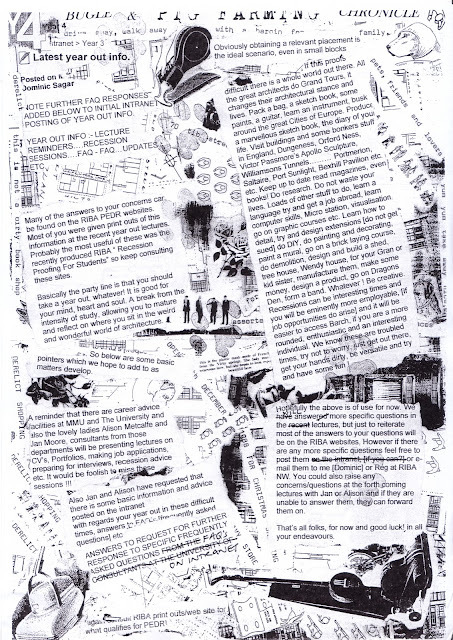 Harry Dobbs Design is a architecture and urban practice based in London. It is currently involved in a series of high profile urban, architectural and product design projects. CHBC Architects is a leading architectural practice, with a long history of exciting projects across the UK. Following an increase in workload, we are currently recruiting to fulfil positions in each of our Warwickshire, Suffolk and Essex offices. We are seeking Part II/III qualified architects with a minimum of two years office experience. Residential experience is preferred. A good knowledge of AutoCAD and Photoshop is essential, with Sketchup and InDesign knowledge beneficial. Candidates should be capable of producing planning drawings with minimal supervision and comfortable working with clients and to strict deadlines. In return, we offer a pleasant working environment and excellent prospects for the right individual. Heatherwick Studio has a number of positions available, lasting from six to twelve months, which are open to designers, makers and Part I architectural assistants who are seeking to gain professional experience. Candidates should be highly motivated and enthusiastic with excellent communication, numeration and organisational skills; good spoken and written English is essential. Candidates should have excellent CAD, Creative Suite and 3D modelling skills. Languages – particularly Chinese – are an advantage. JOIN US FOR THE FINAL EVENT IN THE MEET THE ARCHITECT SERIES! Our final event in the series is with John McAslan + Partners, who will be speaking about their 2011 RIBA award-winning Charles Carter Building at Lancaster University. In addition, they will discuss some of the other projects they are working on in Lancaster. ‘This is architecture that cleverly combines a colonnade, giant orders, deep recesses and flush seamless detail. Externally the single-minded pursuit of the possibilities of contemporary brick technology is complemented internally by exposing the concrete frame. These two materials give the building a sense of grandeur and permanence that is all too rare in educational buildings of today. The use of natural light and ventilation and a generous atrium ensures that this building not only has personality but is robust, flexible and enjoyable. Refreshments and FESTIVE nibbles will be served! "The firm is in Bristol and there are 15 of us (very young and fun people) but it's part of a larger organisation (10 other offices, we visit other offices for design charettes/lectures etc.) but they give a very good experience, not just door schedules! 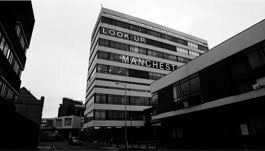 Working on buildings like, St Pauls, Battersea Power station, Prince Charles' House... Anyway, let me know if you can think of anyone! The Bristol office isn't just heritage work either as each project we work on is at least 50% new too." The fourth year blog is now displaying sections for Job vacancies, competitions and other info. Keep checking back as there seems to be light at the end of the tunnel! More vacancies are opening up, keep doing all things architecture! More competitions to come soon. Hope all is well in everyones year in industry. Please keep spreading the word about this blog! 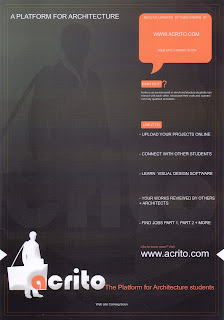 Acrito is an environment in which architecture students can interact with each other, showcase work and connect with qualified architects. Design by Luke Jack Tyson. Powered by Blogger.